Heart River Elementary was evacuated this morning due to concerns of a gas leak. Montana Dakota Utilities evaluated the situation and an all-clear report was given. The odor was attributed to a chemical leak in Fryburg which was pulled into the building through the air handlers. Students returned safely to their classrooms. 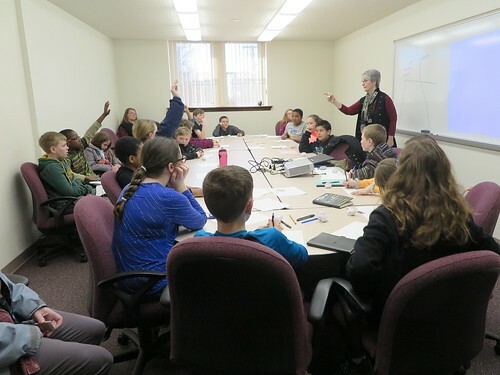 Heart River 5th grade students had the opportunity to experience college for the day. Professors from DSU put together short lessons so that students could see what a college class would be like. After attending 6 different classes the students got the chance to visit with college students and have lunch.